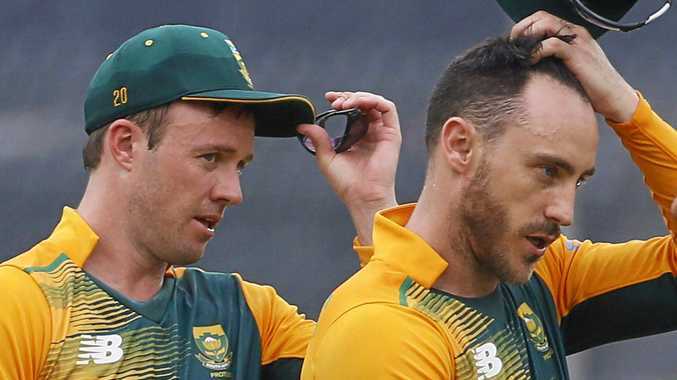 CRICKET: AB de Villiers has stepped down as South Africa's Test captain, with Faf du Plessis to take on the role full-time. De Villiers took over at the beginning of the year, midway through the series against England, after Hashim Amla resigned. The star batsman, however, has been sidelined since July with an elbow injury. Filling in, du Plessis enjoyed a victorious tour of Australia, the Proteas winning the Test series 2-1. "The interests of the team must always outweigh the interests of any individual, including me,” de Villiers said. "It was a fantastic honour for me to be asked to captain the Test side but I have missed two series and I am still in doubt for the upcoming series against Sri Lanka,” de Villiers said. "Following the squad's outstanding performances in Australia, it is clearly in the greater interests of the team that Faf du Plessis should be confirmed as the permanent Test captain. After hosting Sri Lanka, South Africa will travel to New Zealand in February to face the Black Caps in one T20, five ODIs and three Tests. De Villiers will aim to be on that trip. "AB's left elbow is much improved but is still regaining the last few degrees of straightening. Fitness to play requires full range of elbow movement and this may take another three to four weeks to achieve,” South Africa's team manager Mohammed Moosajee said.